And, today’s students are surrounding the word with others like “make,” “hack” and “prototype” as they get set to head back to school in the month ahead. 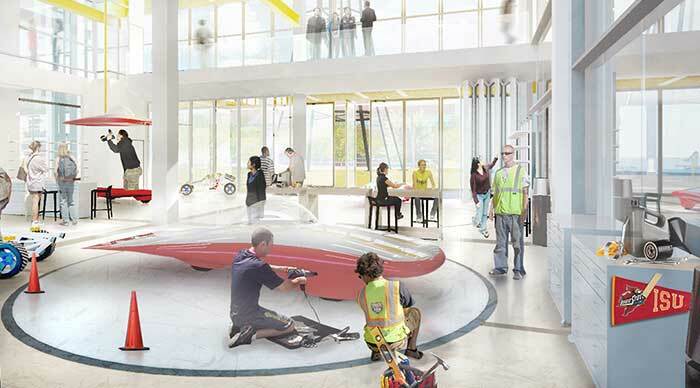 Colleges and universities are listening to the dialogue and responding with new learning facilities billed as “innovation + incubator + maker centers” to support the shifting ambitions of students. These centers focus on multi-disciplinary inquiry that can foster partnerships with industry and fully leverage available grants and funding for research. However, there is no one-size-fits-all innovation center universities are turning to for success. Instead, our education team recognizes three specific types of innovation centers – each with their own benefits – that are emerging on campuses across the world. It’s important for academic leaders to understand these three types and make strategic decisions to ensure they select a relevant and powerful model that will succeed at empowering their institution. The challenges we face are becoming more complex and academic institutions are recognizing the power of crossing traditional academic lines to best respond. This recognition is fueling the creation of innovation centers that drive cross-pollination and fuse creative fields like computer science, math, design, engineering and others to expand potential for developing new products and real-world applications. Texas Christian University (TCU) is focused on this type of innovation center with the introduction of Rees Jones Hall, an incubator facility designed to maximize social and intellectual connectivity. 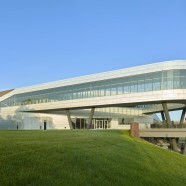 The building houses the TCU IdeaFactory, a unit of the College of Science & Engineering—and CannonDesign project—where students can develop ideas, advance prototypes, conduct market analysis and test. 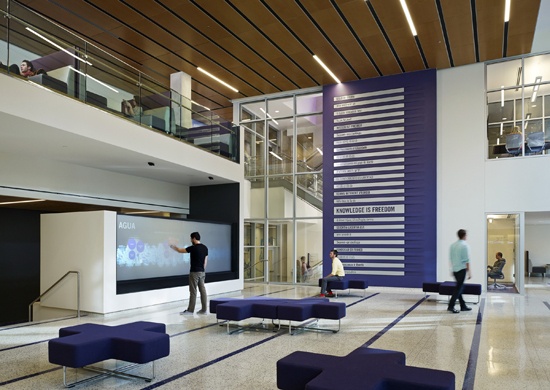 Rees Jones Hall surrounds the IdeaFactory with diverse programs including its Institute of Child Development and the TCU Energy Institute, organizing them around a central atrium to create a “vertical street” of interactive public space. 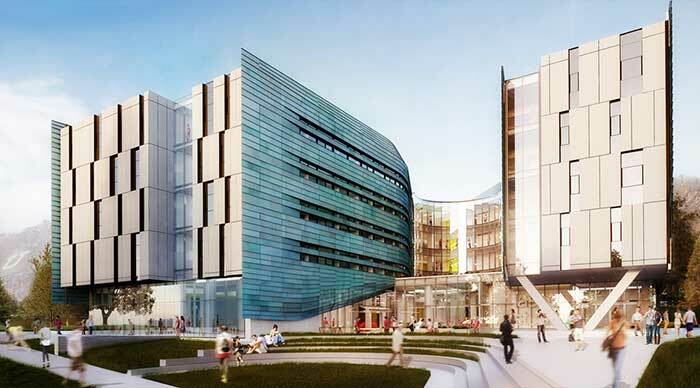 This street helps the building facilitate creative, intellectual “collisions” to encourage student/faculty collaboration across multiple fields. Other institutions are turning to innovation centers to create and enhance industry partnership. This model leads to facilities where businesses can be embedded and work in tandem with university business and engineering schools to create new products and services. These partnerships create mutual benefits: learning experiences for students who, in turn, lend their talents to solving challenges facing business and industry. Penn State Behrend is focused on this model with the creation of the Advanced Manufacturing and Innovation Center. The result of a partnership between the college and the Greater Erie Industrial Development Corporation, the facility reflects the “open lab” initiative, where regional business and industry leaders, faculty members and students engage in research and development as teams. Industrial tenants will occupy nearly half of the new building and have access to university research space and equipment. This learning model will promote collaboration between academia and industry, offer students real-world experience and support the growth of manufacturing in the region. Technology has made it easier than ever before for students to start and launch companies. Learning institutions are responding by developing incubator programs along with facilities that harness students’ entrepreneurial drive and creative passion. Institutions like Iowa State and the University of Utah are creating these types of innovation centers to bring the energy of startup companies to collegiate campuses. These centers are often highly flexible and blur the lines between life and work in a way that gives students 24/7 access to technology and support as they build and launch companies. Are you part of a higher education institution? If so, we’d like to get your input, is your institution planning to invest in an innovation center over the next 3-5 years?